Kia Motors and Riot Games have teamed up for LEC. 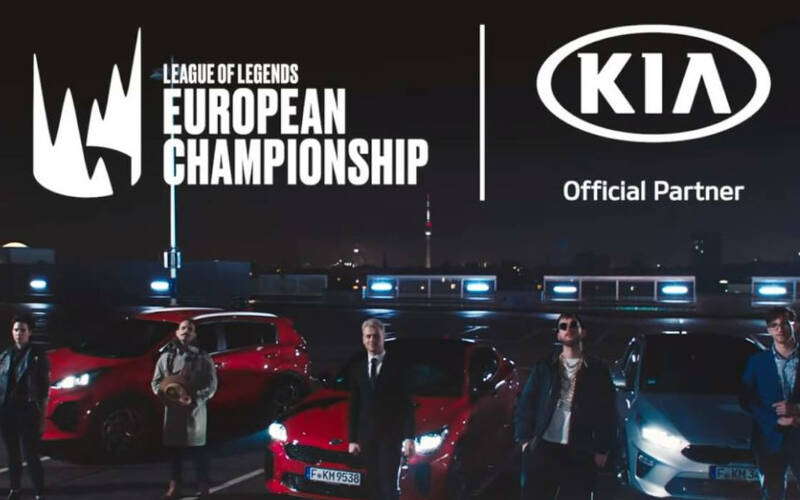 Kia Motors has become an official sponsor to the League of Legends European Championship (LEC) ahead of the competition’s inaugural season. Non-endemic companies are fully aware of the potential of esports, which in turn appeasl to millions, if not billions, of youthful fans around the world. Now, Kia Motors have decided to shift in a higher esports gear and back one of the most popular competitive video gaming events out there, the League of Legends European Championship (LEC). Kia Motors is now the official sponsor to the event which will run throughout 2019. The brand will be showcased during the “Player of the Game” segment and generally benefit from access to a larger audience. Since most esports partnerships between endemic and non-endemic companies are kept under wraps, Kia followed in this tradition not disclosing how much it has agreed upon with Riot Games, LoL’s developer. Kia also prepared a short promotional segment titled “Ready to Play”, which has some popular faces from the LoL world, including Romain Bigeard, Indiana ‘Froskurinn’ Black, Daniel ‘Drakos’ Drakos, Aaron ‘Medic’ Chamberlain, and Andrew ‘Vedius’ Day heading out to attend the LEC in one of the brand’s flagship products, the Kia Stinger. Kia Motors is definitely not new to esports either, having sponsored Counter Logic Gaming’s Rocket League team in the past. Kia is already well-known for its sports sponsorships, and this partnership represents another marketing innovation from the brand. In parallel with our ties to more traditional sports this esports sponsorship will demonstrate how Kia supports the lives and lifestyles of a younger generation of digital natives. Kia is far from being new to the esports segment. The company is working with two of the largest esports news outlets out there, DBLTAP and Dexerto, and is planning to release special series dedicated to Fnatic, one of the esports powerhouses taking place in LEC. We are excited to partner with Kia and join a prestigious list of events and sports brands as we enter a new era for the League of Legends European Championship, which is the leading esport league in Europe. Riot Games has grown accustomed to non-endemic partnerships with Mercedes-Benz still featured as the official League of Legends sponsor in China. Mercedes-Benz has also invested in a top-tier esports arena in Shanghai, China, which will play host to the upcoming Dota 2 International Championship. Kia Motors have become the official sponsor to the League of Legends European Championship (LEC) Riot-hosted season. The carmaker will work on exclusive digital content.